Posted by admin in How to Apply Mascara? When it comes to makeup,Mascara is one of the most popular beauty product.Mascara defines and brings color to lashes and highlight and dramatize your eyes.Follow these tips to get eye-enhancing lowdown on applying Mascara. First, curl your upper lashes with an eyelash curler, if your lashes are straight. See that you take in all the lashes in the curler and that it is fitted as close as possible to the bottom of the eyelash. 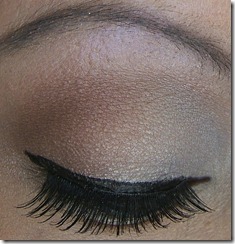 Apply mascara by sweeping from the top and coming down, while also coating under the lashes. Now, close your eyes and apply mascara from the roots to the tips, using full strokes. Use the comb side of the brush and comb through the lashes to separate them. You’ll find that it is easier to separate lashes before they dry. Repeat. Now, hold the brush parallel to your nose and coat the bottom lashes with a stroke of the mascara brush. Now, once again, comb through the bottom lashes with your eyebrow comb/brush. To give an extra long look to your lashes, once they dry coat the tips of the lashes two or three times with black mascara, while also drying and separating the lashes between applications. If you want very long lashes, coat them from the top. You must check to see if the lash base is coated as close to the skin as possible as this shows up the shape of the eye and makes the look very natural. If you want to give the impression of not having any makeup on, coat below the lower lashes with clear mascara only and then comb them with eyebrow brush/comb after application. If you want real thick lashes, coat the upper and lower lashes with clear mascara, comb them and then c oat the upper and lower lashes as with black mascara. If you find that an excess of your mascara is deposited on the wand than required, use a tissue to wipe away the extra color before application. You can choose from a range of mascara colors such as brown, navy and green. Don’t share your mascara with anyone else, as this may cause infection in the eye. If you have the slightest irritation, take it off immediately. Use a thin and short brush for better hand control, so that it gets to the corner of the eye easily. 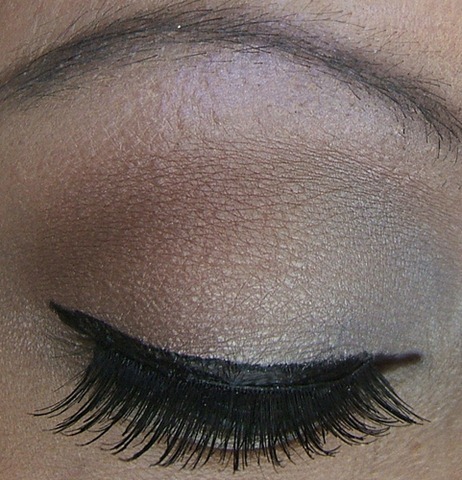 You could also use powder under the eye before applying mascara to avoid smudging. 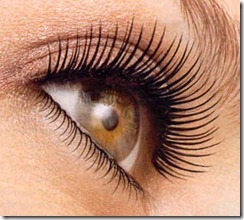 However, if you use a gel-based mascara, it will play up the lashes. Give your thick mascara a more dramatic loo, while also adding volume to your lashes. Brown, navy and aubergine add subtle and sophisticated touches to your eyes, while burgundy looks striking on redheads. No matter what you decide, please don’t match your mascara color with your eye color. everyone with your rocking appearance. Applying mascara to bottom lashes is even easier. Apply it carefully using the tip of the mascara wand. Place a tissue beneath your eye, underneath the lash line, to catch excess mascara. You can also eliminate streaks and smudges with a makeup remover pen or a cotton swab dipped in makeup remover. 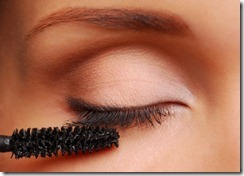 Before applying mascara, rub the wand against the tube to remove mascara clumps. Do not pump the wand up and down in the tube before applying mascara; this introduces air into the tube, which will make your mascara dry out more quickly. Do not store your mascara in hot places, like your car.